Barcelona defender Gerard Pique has confirmed that he will no longer play for the Spanish National team. The 31-year old defender is an integral part of the most successful Spanish national team in history, he won the World Cup 2010 and the European championship in 2012. A proud Catalan, Pique has been a subject of numerous abuse from some sections of La Roja's fanbase, despite this, Pique has 102 international caps for the national team. His Partnership with club rival Sergio Ramos is underrated as the duo have played a very important part of the country's success. 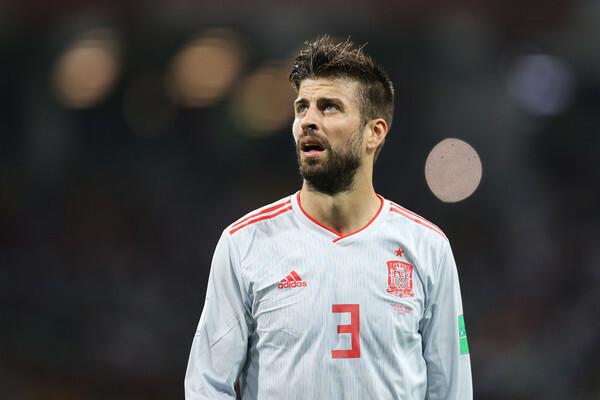 Pique announced his retirement from international football on Saturday evening even as former Barca boss Luis Enrique was appointed as Spain's manager following their poor showing at the last World Cup.